A clay facial mask is a dermocosmetic product used to remove impurities from the skin. The difference between cosmetics and dermocosmetics is their use. Cosmetics are used to protect, repair or correct defects and to perfume, such as make-up, hair care products and deodorants, amongst others. Dermocosmetic products cure or control skin diseases or alterations such as acne, dermatitis, wrinkles, stains, etc. The components and their respective proportions may vary depending on the manufacturer or application. The manufacturing process starts with the addition of water and surfactants. A pre-mix is prepared and the powdered clay slowly added using the vacuum skid. Once the mixture is homogeneous, the additives are added. 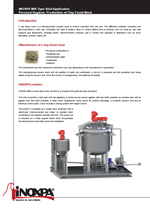 INOXPA offers a mono-block skid, the MIX-4, to produce this particular type of product. 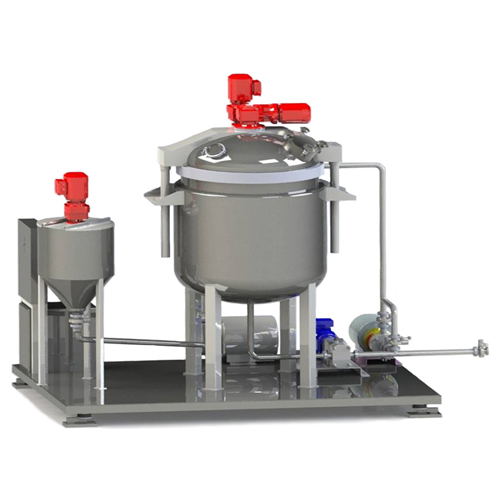 This skid comprises a main tank with two agitators, a central anchor and an agitator with saw tooth propeller, an ancillary tank with an agitator with saw tooth propeller, a Kiber pump (progressive cavity pump) for product discharge, a complete vacuum skid and an electrical control panel. It also includes a dosing system with weight control. The system is arranged as a single block assembly that is electrically interconnected and ready to operate when connected to the required ancillary services. The whole unit is mounted on a metal support frame which incorporates the electrical and pneumatic panel and installation. 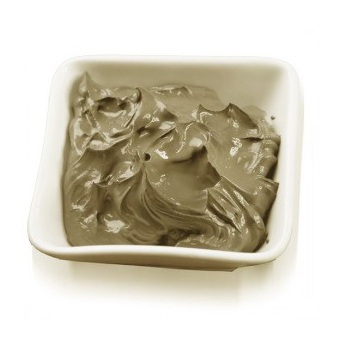 Résumé A clay facial mask is a dermocosmetic product used to remove impurities from the skin. The difference between cosmetics and dermocosmetics is their use.